Every month, we change the display in our object of the month cabinet. This enables us to showcase some of the objects we have in store (some of which haven’t been on display before). 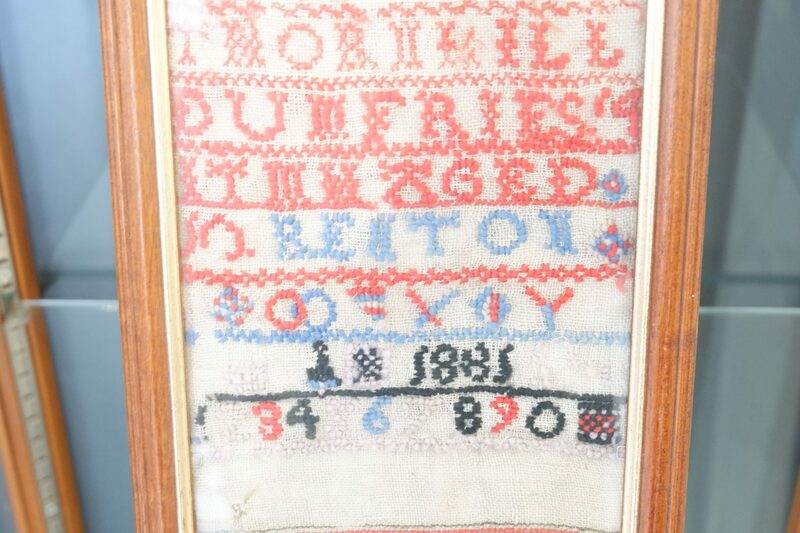 For March, we have this beautiful sampler on display. It was recently accessioned (added to the collection) by our collections volunteer, Hannah. Samplers such as this were made by children as they learned to sew. 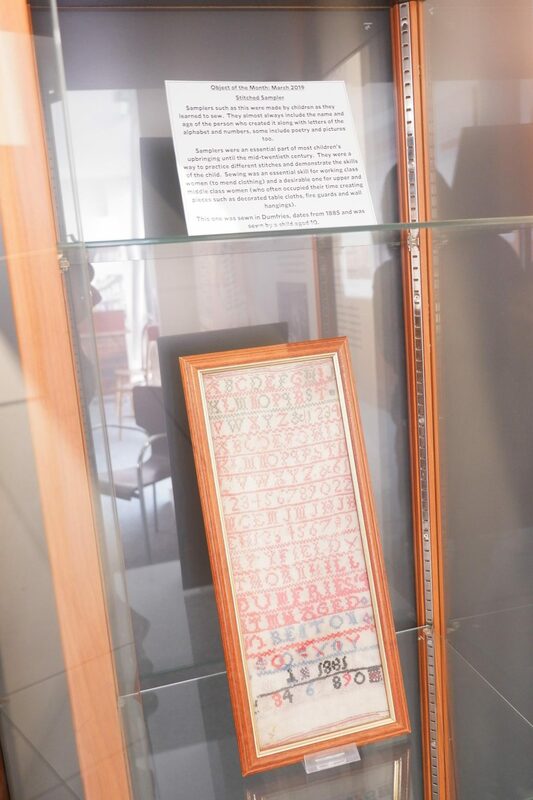 They almost always include the name and age of the person who created it along with letters of the alphabet and numbers, some include poetry and pictures too. Samplers were an essential part of most children’s upbringing until the mid-twentieth century. They were a way to practice different stitches and demonstrate the skills of the child. Sewing was an essential skill for working class women (to mend clothing) and a desirable one for upper and middle class women (who often occupied their time creating pieces such as decorated table cloths, fire guards and wall hangings). This one was sewn in Dumfries, dates from 1885 and was sewn by a child aged 10.